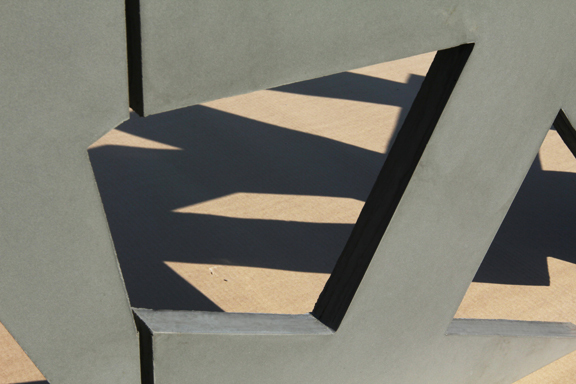 High-performance concrete creates new possibilities for a community college facade. 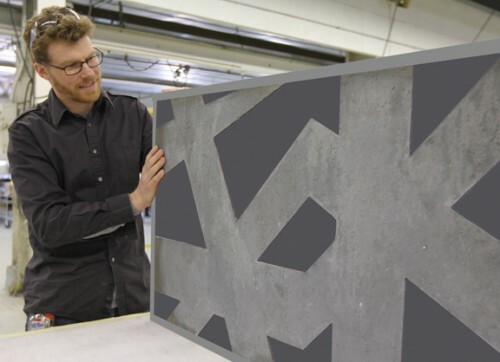 A new generation of concrete, called Ultra High Performance Concrete (UHPC), is changing the way architects and designers think about the material. Usually composed of cement, fine grain sand, silica fume, optimized admixture, and alkali-resistant glass fiber reinforcement, UHPC offers high ductility, strength, and durability with a fine surface appearance. 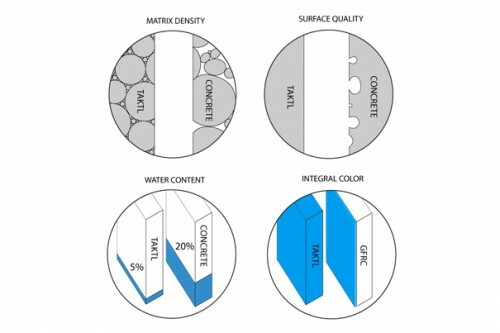 A new UHPC product called TAKTL, launched last year, shows the many additional applications that are possible with the right material mix, including facade panels available through its sister company VECTR. 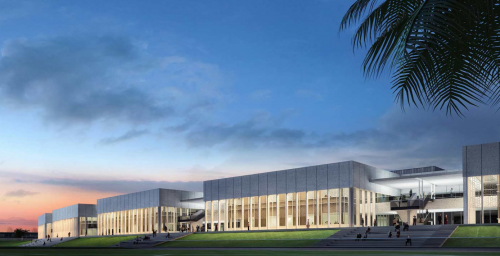 Recently chosen by Milan-based Wilson Savastano Venezia Architecture Studio for its Dukhan Community College (DCC) project in Qatar, the company is in the research and development phase for perforated and solid panels to clad the school’s sculptural facade. In addition to shading an inner layer of solar glass, the 90,000-square-foot facade will provide dissipative cooling for the DCC’s classrooms, accommodating 1,500 pupils and 250 staff. TAKTL is working with both the architect and substructure engineer Guido Berger to develop the modules. Though their opacity will vary—the building design calls for solid forms at the top of the structure and perforated pieces for occupied floors—each panel will be ¾ inches thick and cast to fit the sculptured facade. The panels require no post-processing, no coating, and no cutting, resulting in minimal waste during production. The company’s manufacturing process is also modular and mobile. For the DCC project, they will establish a facility in the region where the panels will be cast using concrete components sourced from within a 200-mile radius. The same setup can be arranged almost anywhere in the world. “There aren’t any magic ingredients,” said Dee Briggs, the design strategist for the Glenshaw, Pennsylvania-based company. “It’s the mix ratio and process that is proprietary.” TAKTL’s UHPC mix is distinguished by its high matrix density. Developed in partnership with German UHPC specialists, the company’s formula relies on an ideal particle size for each application to insure a densely packed concrete matrix, creating stronger chemical bonds and lower water absorption. 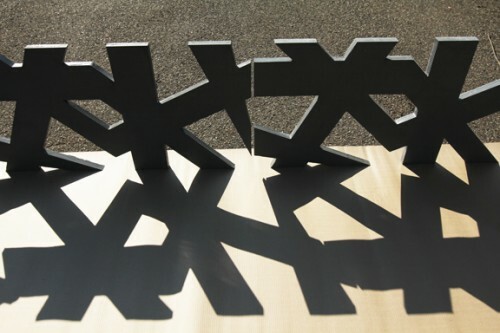 The finished product, whether used in VECTR panels or other products from the company’s second sister company, SITU, has high compressive, tensile, and flexural strength. Unlike conventional precast concrete and Glass Fiber Reinforced Cement, the mix incorporates reinforcing fibers and mesh only as a backup strength component—they are not required to meet strength standards. Products can be cast in a variety of textures and colors, all of which resist water, salt, and other environmental corrosives. The material has also caught the attention of the architects at Snøhetta, who recently unveiled the design for Ryerson University Student Learning Center in Toronto. According to project lead Michael Cotton, VECTR panels are being considered for the large lobby (or entry “dome”) wall, which will be suspended from the ceiling and continue onto the building facade. While also considering architectural terracotta, the team is particularly interested in TAKTL’s ductility and finish options. “What we understand about TAKTL is that they can mold it into virtually any shape,” said Cotton. “We are going to need multiple modules; there could be ten facets to each module.” Snøhetta has also visited the company’s facility to discuss options for achieving the vivid, non-homogeneous reflective surface they envision for the Ryerson lobby wall.